The international selection event 5StarWines announced that 676 wines made it through the blind tasting sessions held in Verona between April 3 and 5, 2019. Appointed wineries will benefit from the results right away, receiving immediate recognition during the Vinitaly exposition whilst availing of a series of exclusive promotional tools and events throughout the rest of the year. With Vinitaly’s blind tasting event 5StarWines 2019 drew to a close with a total of 676 selected wines. The wine selection’s third edition included over 3000 bottles, having been sent in from Italy and from all over the world, including countries such as Argentina, Brazil, Canada, USA, and France. Under the supervision of the Senior General Chairman Lynne Sherriff MW, over 90 individuals in the wine business participated as judges: Masters of Wine, Master Sommeliers, oenologists, producers, importers, buyers, journalists, and bloggers. 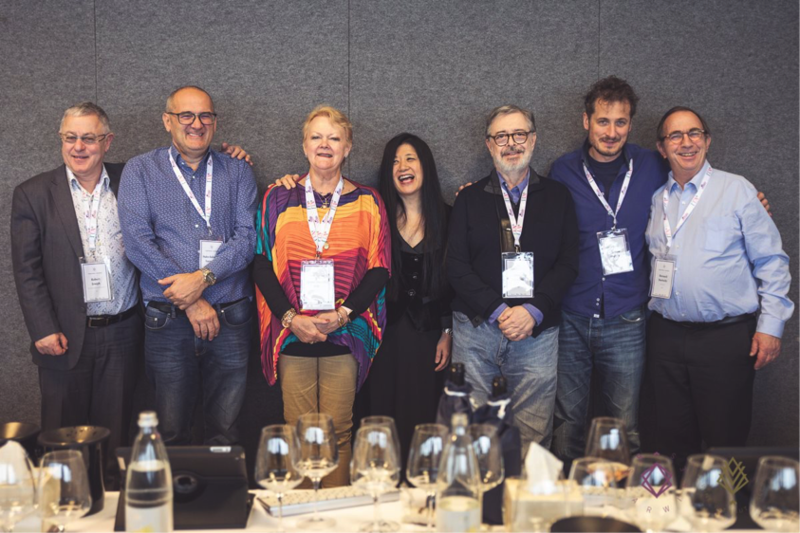 Spanning three-days, these highly-qualified judges examined, commented, and eventually decided which wines would earn international recognition and benefit from various promotional initiatives organized by Vinitaly International and Veronafiere in connection with 5StarWines. For an Italian wine producer, or indeed a producer anywhere else, what 5StarWines is, is not really a competition, it is based on the book, it is based on giving the reader/consumer a clear idea of good examples of particular Italian wines. And so the panels of tasters here, we have Italian Oenologists who understand the typicity, we’ve got sommeliers, international buyers, journalists, they are all combining to find the best examples they can of a very wide range of wines. And hopefully for each of these producers, the guide will help them sell that wines into export markets. This is a very good opportunity for producers to have feedback after a whole year of work. Myself, I am a winemaker and I know well the challenges of the wine business. With the market and the tastes of consumers changing so very often, the help of international wine professionals like the 5StarWines judges is key. We’re talking about people who are always travelling, researching, and tasting wines from all over the world. The expertise coming from that can be of great help to wine producers. A guide is the result of an inquiry. 5StarWines-the book is indeed a very charming tool, which is useful first and foremost for an international public. A guide is an authoritative instrument, a little bit like an encyclopedia. 5StarWines-the Book should be read and consulted to approach a very complex and well-structured topic like Italian wine is. Right after the selection, however, starting from the the first day of Vinitaly, selected wineries will already be able to display their 5StarWines certificate at their booth and find their profile information published on the Vinitaly App. While the diplomas immediately certify the quality of wine presented at their stand, through the app wines will appear on visitors’ and buyers’ screens. Right after the bling tasting, the selected wineries will have their data uploaded onto Vinitaly’s official exhibitors catalogue, accessible both via the web and via app. Using the application, buyers and distributors on the hunt for quality products inside the pavilions will be alerted to the winery’s location at the fair. Special transmission devices using Bluetooth technology, positioned on the winery’s stall, will activate visitors’ smartphones with a notification of the winery’s recent award. The advantages to those who chose to participate in 5StarWines are not limited to Vinitaly; wine producers also earn access to many other tailored promotional opportunities throughout the year. 5StarWines partnered up with Wine-Searcher.com, the search engine used by wine lovers from all over the world to look up reviews, prices, and availability of any given wine. 5StarWines selected labels are inserted in the website’s database with all their respective details and scores, so that millions of wine aficionados will be just one click away from all the “5Star” wines producers entered on the site. Designated wineries will also be able to travel with 5StarWines – the Book. Every year, Vinitaly International acts as an aggregator for Italian wine producers by organizing a series of events and masterclasses around the world. One of the most significant opportunities for the selected wineries is to become part of these masterclasses and have their wines presented by renowned international professionals in Russia, China, and Hong Kong. This initiative has proven to be a very effective marketing tool, increasing cross-promotion opportunities for both producers and buyers. For the past 50 years, Vinitaly has managed to ride the waves of market fluctuations and changes. In order to do so, the organization has created numerous opportunities to assist wine producers in the expansion of their business. 5StarWines – the Book is a marketing tool that Vinitaly specifically designed to help Italian wineries build new trade relations. The Book is the first promotional guide published by an international expo. Getting published in the guide means having one’s name (and products) spread throughout Italy and abroad via the major trade fairs in the sector, B2B meetings, tastings and masterclasses aimed at professionals in the wine business. It also means accessing key players in the reference market. In 5StarWines – the Book, each wine selected has a dedicated page, along with photos, information about the company, the 5StarWines score, and the judges’ tasting notes. There were 3056 wines participating at this years’ edition of 5StarWines – more than last year’s. Out of these 3056, over 676 scored more than 90 out of 100 and therefore will make it into the Book. For the third year in a row Italy has stood out as one of the best producers at the selection, with Cantine Antonio Mazzella SAS – Ischia (NA) taking home the “Best Winery of the Year – Gran Vinitaly 2019”. Discover the complete list of wines selected by 5StarWines – the Book. About: 5StarWines – the Book is the annual wine selection organised by Vinitaly. Held in the lead-up to the biggest Italian wine fair in the world, the event is now at its third edition. 5StarWines is a three-day tasting aiming at shedding light on wineries investing in the improvement of their products. During the event, a highly qualified panel of wine professionals tastes and gives score on a 100-point scale to the participating wines. In the last edition, over 2700 bottles took part in the selection and 625 were selected, making it on the 5StarWines – the Book. The guide is a useful tool both on the promotional and commercial side. It introduces the international buyer and wine lover from all over the world to new wine products of great value. It guarantees quality for the wines and it maintains and certifies their value at an international level.